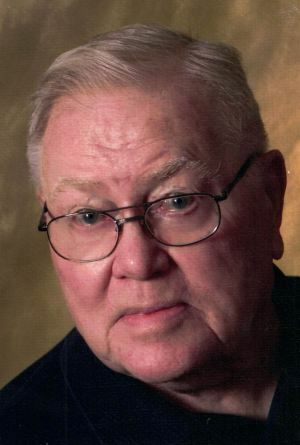 Allen Lamont Staples, Sr., entered eternal life on Tuesday, March 26, 2019 at Clark Memorial Hospital. He was born on October 28, 1926 to the late Allen B. Staples and Sarah Abbott Staples in Jeffersonville, Indiana. Allen served his country honorably in the United States Navy during WWII and the United States Air Force during the Korean War. He was a self-employed carpenter and a developer. Allen was also a member of Science Hill Christian Church in Science Hill, Kentucky, lifetime member of the VFW and taught Sunday School at Speed Memorial Church in Sellersburg for several years. He also served as President of Speed Golf Course for many years and was involved in the development of Southern Hills Lake Estates in Borden. Allen enjoyed hunting, fishing and was an avid reader who also loved his family and lived a virtuous life. He was preceded in death by his wife, Donna Jean Popp Staples, a daughter, Rebecca Jean Staples Smith and two brothers, Billy and Ray Staples. Surviving are his son, Allen “Monty” (Brenda) Staples, Jr., Georgetown, daughter, Elizabeth (Joseph) Reuter, Jeffersonville, sister, Wilma Staples Watson, grandchildren, Melissa (Jason), Scott (Carrie), Lucas (Alicia), Rose (Tim) and Nathan (Claudia), great-grandchildren, Makaylyn, Hayden, Lexie, Dakota, Will and Ivory. Cremation was chosen by the family and a memorial service will be held 11AM, Saturday, April 6 at the Garr Funeral Home in Sellersburg. Visitation will be Saturday, April 6 from 9AM until the time of service at 11. After the Memorial Service a lunch will be provided and everyone is invited to join the family. In lieu of flowers, memorial donations can be made to the American Legion Post 204, 412 N. New Albany St., Sellersburg, Indiana 47172. Online condolences can be made at www.garrfuneralservices.com.